What was your high school senior prank? What was your experience with a medium and/or psychic? What is accurate or just bs? What was the worst concert you went to? What has been your "Kitchen Nightmare" experience? What theory did you have that has been confirmed and/or dismissed throughout the series? Especially now that KH3 is out. Men who have been emotionally cheated by their SO, how did you handle it? Did you make it work or break it off? Redditors who were in fraternities/sororities, what was it like? Did your brotherhood/sisterhood last long after you graduated? Police dont have to pop off at encounters, they can just get down to the level of the person they are dealing with. 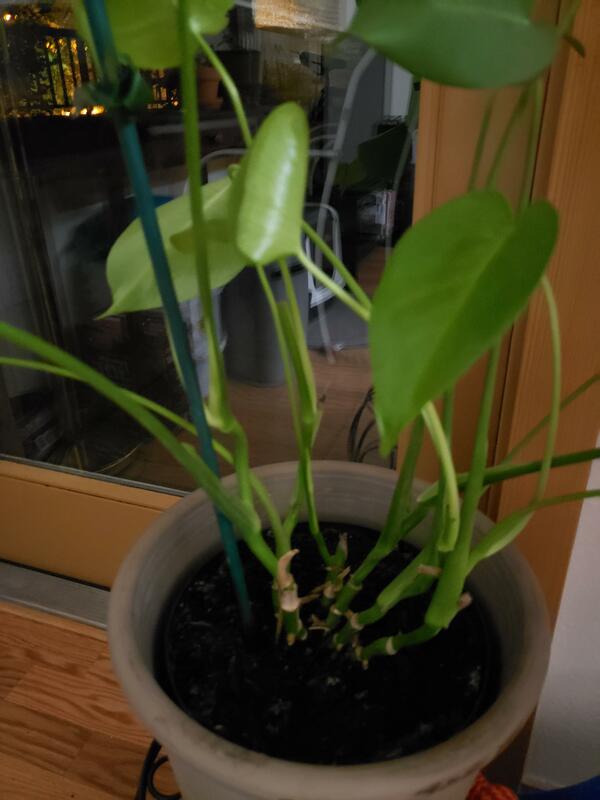 How do I best trellis/stake/moss pole my juvie monstera? Since it is rolling out, just wondering how much Eldwater does you guys get? What lie did your parents tell you? Is anyone really even surprised anymore?